I was nominated by Kaitlyn for a Liebster Award! I am very honored by this nomination. Thank you so much for the nomination, Kaitlyn. Please check out her blog and give her some love. Liebster is a German word for beloved. The award is given to up and coming bloggers. It’s a great way to discover new bloggers. This award is especially special (ha ha) to me because I started this blog in honor of my BELOVED daughter, Faith. This is for you baby girl! 1. Acknowledge the blogger that nominated you by linking back to their blog. 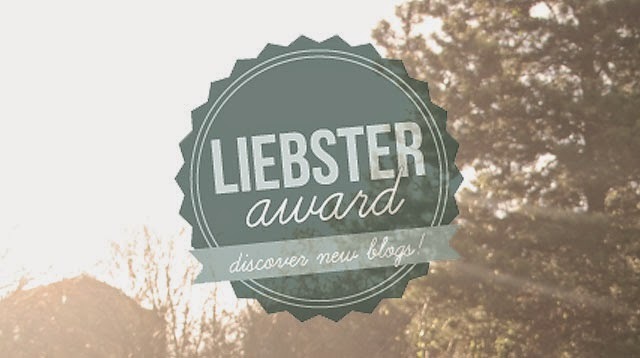 If you want you can also display the Liebster Award Button on your blog. The button can be found here: Liebster Award Button. 2. Answer eleven questions that have been given to you. 4. Nominate eleven blogs you believe deserve the award. Try and make sure they have 200 followers or less. 5. Let the blogger know you have nominated them. 6. Give them eleven questions to answer. 1. Who is your biggest inspiration? This is a tough question for me to answer. I have a few people that top my list, but for me, it is my husband and my daughter, Faith. (who lives in Heaven). 2. If you could try any job for a day, what would it be? There are so many cool jobs to choose from…hmmm…right now I would say a Photographer for National Geographic. 3. Are you more of a cat or dog person? I am a dog person for sure. 4. If you could go back in time and change one thing about yourself, what would it be? That’s an easy one, I would have my daughter live. 5. What is the one thing you want to do but don’t dare? I will say skydive for now, but who knows, someday maybe I will do it. 6. What is your best beauty secret? Minimal natural makeup and a big smile! 8. What makes you nervous? Heights, which is funny, because I love flying! 10. What is your greatest achievement? Outside of salvation, and marriage, I would have to say, my daughter, Faith. 1. I enjoy arts and crafts. 2. My husband and I were married in New Mexico. 3. I now collect and wear “Faith” jewelry. 5. I enjoy organizing and decorating. 7. I really enjoy going to the beach. 8. I have lived in 5 states in the U.S.
– at one point in time living in every time zone on the continental U.S.
9. I enjoy helping other people. 3. If you have more than one blog, answer #1 for your other blog. 4. If you have more than one blog, answer #2 for your other blog. 8. What is your favorite way to help others? 9. If you could go on a vacation anywhere in the world, where would you go? 10. If you could spend a day with someone that has died, who would that be and what would you do? 11. Have you told those you love that you love them today? Best of luck all and I hope you can learn about some new bloggers as well.